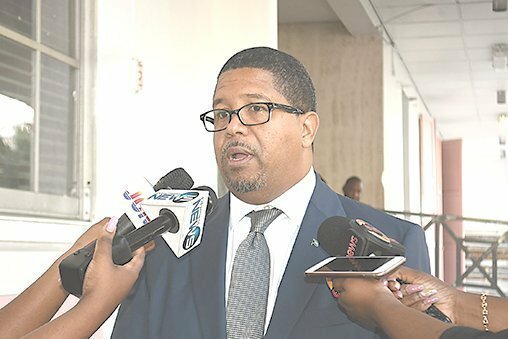 The end goal of the Small Business Development Centre (SBDC) is to have Bahamians begin to produce more of what they consume, thereby keeping earnings within the borders of The Bahamas, and also for businesses to expand their operations beyond the borders of this country, Deputy Prime Minister and Minister of Finance Peter Turnquest told Guardian Business yesterday. Turnquest said the government has not assigned a value that would gauge the success of the SBDC in terms of the number of start-up companies, but he said the government is committed to seeing the program through, and developing new small and medium-sized enterprises (SMEs). “As we know, the nature of start-ups and SMEs in general is risky, and some will not survive,” said Turnquest. The government has committed $25 million over five years to develop SMEs. Because of its commitment, commercial banks, venture capital funds and the Inter-American Development Bank have all come on board to assist the government in the development of these new businesses through funding. Turnquest said SMEs contribute a significant portion to the gross domestic product (GDP) of the country, and the training provided through the SBDC will give the businesses developed through the program the best chance at contributing to the country’s economic growth. “Nonetheless, the SBDC and all of the other complementary training and funding partnerships provide together a powerful foundation for further innovation and growth in the sector,” he said.